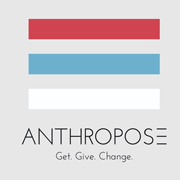 Jobs Apply - Anthropose | Get. Give. Change. Casual Dress, free coffee and a laid back setting. A fun and inspiring work environment. A year-round opportunity to help others in need and to support your local community. Be a part of a high-performing work team who are passionate about making a difference. Learn from like-minded people and room for career growth. Content Creator Internship - 2 nos. We are looking for a Content Creator to write and publish various types of contents not limited within articles, audio/visual contents for our company’s web pages, like articles, ebooks and social media posts. Coordinate with marketing and design teams to illustrate ideas into articles or other forms of audio/visual contents. We are looking for an experienced Marketing strategist to lead our Marketing department. You’ll be responsible for setting specific objectives to develop a cohesive and profitable marketing strategy for our company. Ultimately, you should be able to increase our market share and ensure brand consistency. You can’t stop talking about good things in life? You love data and telling stories? You welcome constructive criticism and use them to provide immaculate customer experience? You think status-quo is boring. If you answered Yes, to all of the points mentioned above, then you could be our next Senior Marketing Strategist. Yaaaay!! Location: 3rd Floor, Malla Complex West Wing, Tripureshwor, Kathmandu, Nepal. Anthropose is seeking for a diligent, out-going and empathetic customer care specialist to join our team. Have you every experienced bad customer service? Do you believe in the power of good customer service? If you answered Yes, to all of the points mentioned above, then you could be our next Customer Care Specialist. Yaaaay!! Suggest solutions to customer’s problems and predicament. Work to ensure proper customer service is being delivered. Previous work experience highly regarded. Strong desire to solve and handle experiential issues. Eloquent conversational and inter-personal skill. Comfortable using computers, social media and phone to solve customer issues.